Okay, so maybe I have a problem. First of all, this past Saturday I finally got everything moved from the old place with the help of my family and church members. YAY!! So, now I am all settled in the new apartment. Now, back to the problem. 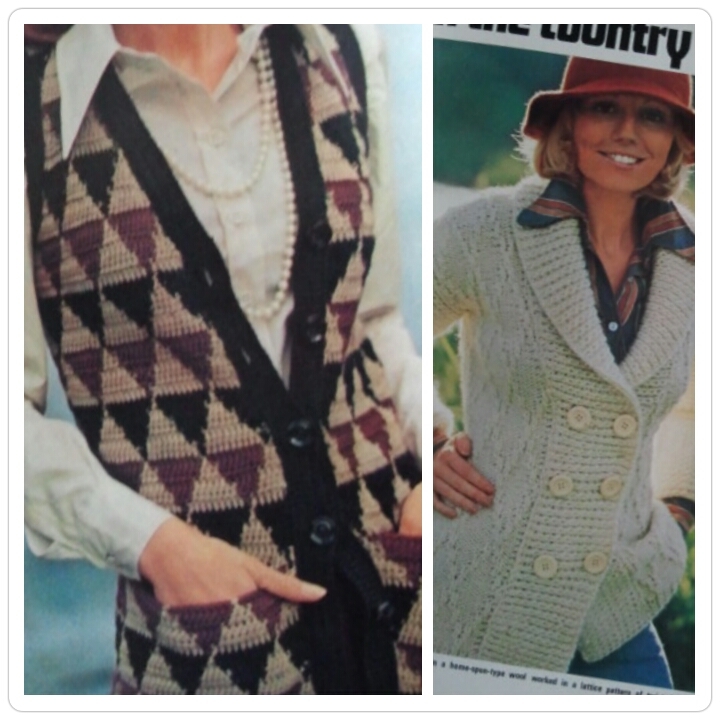 While packing and moving stuff, I realized I have a huge load of knitting and crochet books/magazines. I knew that I had quite a collection but, seeing it really put things into perspective. 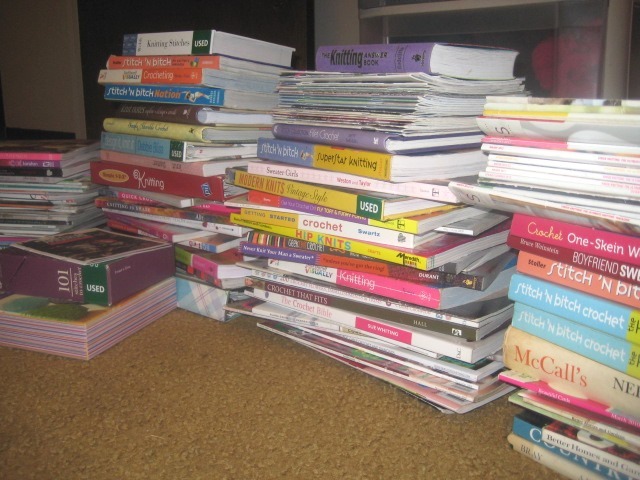 According to my Ravelry account (where I have most of the books listed in my library) I have 3,860 patterns! I couldn’t knit or crochet that in a lifetime. For that reason, I am taking a break from buying craft books. They take up too much space and I couldn’t possibly create all those projects anyway. In the previous post, I talked about the new books that were added to my personal library. However, I completely forgot to mention the vintage knit/crochet/sewing books that I found while on vacation in Panama City, FL. We stopped by the Salvation Army and I was kind of aimlessly browsing around. Then, I decided to check out the book section. Lo and behold there were all these vintage books there! The era was the early 1970’s. There seems to have been some sort of series put out by “Make it Yourself” and there were so many different volumes. I wish I could have gotten them all but, I did practice some restraint. My sister picked up a few. And another lady saw what I discovered and she was literally hovering over my back so, I decided to choose the volumes with the best patterns. And she got the rest. These books are too cool for words. 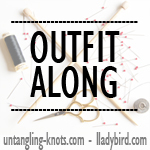 There are many wearable projects in knitting, crochet, and sewing. Although, for the sewing the pattern sheets that probably came with the book aren’t available. The only thing I don’t like is that they didn’t list yarn weights for that time. They just show a picture of the yarn so, you can see the size. However, they do list gauge so, I can judge from there. It is my goal to create at least 1-2 creations from these books before the year is out. So, I will share.